The U.S. Federal Reserve's monetary policy meetings are one of the key economic events for traders and investors alike. 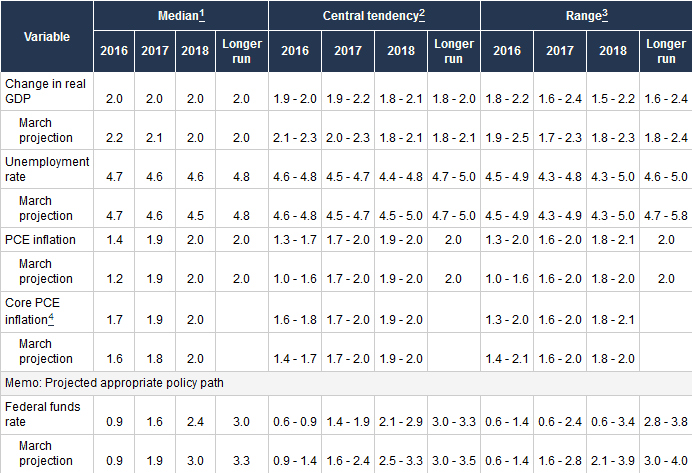 Although the central bank's policies are targeted towards controlling the short term interest rates, they have far reaching implications across the yield curve. It goes without saying that the Fed's meetings or the FOMC meetings are one of the volatile events on the economic calendar. The Federal Reserve schedules eight meetings during the year and holds other meetings when needed. It was only since the 2008 global financial crisis did the Fed become more proactive in communicating with the markets, a trend that began to evolve since the days of Alan Greenspan. Prior to his term, the Fed was mostly tightlipped on its "open market" operations, leaving much of the market blindsided. However, since Greenspan's tenure and the following Fed presidents, including Ben Bernanke and the current president Janet Yellen, the Fed has been more forthcoming in communicating its view to the markets. Of course, this new policy of communications clearly with the markets brought forth a can of worms, with the occasional surprising remarks made by one of the FOMC voting members that would suddenly move the markets. Still, despite this "noise" speculators have built careers around the Fed announcement event with algos kicking into overdrive as the machines start to decipher the Fed's statement word by word. It is during these scheduled meetings that traders and investors alike look to policy decisions and forward guidance from the central bank on the future of the U.S. economy and the interest rate path. 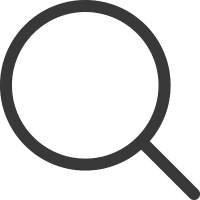 For the average retail day trader, the Fed announcement days are perhaps one of the most widely watched and anticipated events, which clearly overshadows the volatility that comes with nonfarm payroll Fridays. There are many markets that are affected during the Fed announcement days, from the safe haven commodity, gold to the equity markets such as Dow Jones Index and the S&P500, to influence the currencies starting with the U.S. dollar and the safe haven yen and of course the euro. When it comes to choosing how to day trade futures during the Fed announcement, there is no dearth of choice. However, to trade during the Fed announcement requires a bit of planning before hand and having a few choice of instruments already up and running. In the next section of this article, we will look at what are the best futures contracts to trade during the Fed announcement, the terminology surrounding the Federal Reserve's meeting and how the futures contracts behave to the Fed's announcement. The Federal Reserve meets eight times a year for its scheduled meetings. The meeting dates are published upfront and can be accessed by anyone from this URL. There is also an archive of the past meetings with relevant documents and supporting materials. Which Fed announcements are the most important? 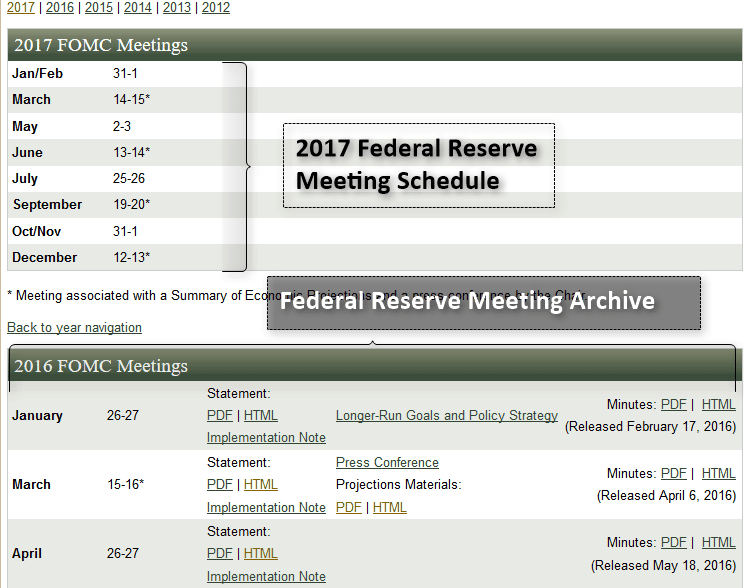 Within the eight scheduled meetings, some FOMC meetings are more important than the others. This is because some of the Fed announcements are followed up by a press conference held by the Fed president. This press conference starts 30 minutes after the Fed announcement and gives Fed officials the chance to elaborate more on their monetary policy decisions. These Fed announcement dates are usually marked by * symbol, denoting that the Fed announcement will be followed by the press conference. These Fed meetings are usually when important decisions on interest rates and monetary policy are taken, as the press conference allows Fed officials more flexibility in explaining their stance to the markets. Needless to say, these FOMC announcement dates take higher precedence than any normal Fed announcement dates. The chart below shows the Fed’s dot plot, which as you can see is merely a summary of interest rate expectations. It is important because the dot plot gives a glimpse into where the policy makers think interest rates should be. Of course, all the inputs are anonymous, meaning that market participants do not know which FOMC member was the most hawkish or the most dovish on the short term interest rates. Day trading futures around the Fed announcement can be profitable if planned ahead of time and when the trader knows at what price levels to trade and when to exit. There is quite a bit of volatility when it comes to the Fed announcement and winners can quickly turn into losers and vice versa. Therefore, the most important rule when day trading futures around the Fed announcement is to follow a very disciplined strategy without having the emotions get in the way. When it comes to the futures markets, here is a quick list of some of the futures contracts that can be the most volatile to the Fed announcements. The Fed announcement can be broadly classified into either being hawkish or dovish. Hawkish fed announcement typically means that the central bank is optimistic on the U.S. economy and signals the possibility for tightening monetary policy by means of hiking interest rates. Dovish fed announcement means that the central bank is concerned on the pace of the U.S. economic growth and signals the possibility to ease monetary policy, by means of cutting interest rates or dipping into using unconventional tools such as QE (Quantitative Easing). Neutral fed announcement is rare and depending on which part of the cycle this comes, the markets will react accordingly. For example if a Fed announcement was neutral, coming after months of dovish statement could mean that things might start to look up. Alternately, a neutral statement after hawkish statements could mean either that the economy could slow or the pace of growth will continue. 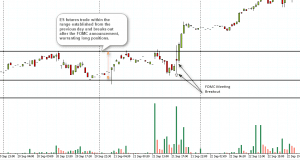 The best way to trade the Fed announcement is to look at trading breakouts which can offer short term profits quickly. However, this can be risky as the volatility could mean getting stopped out. Furthermore, when trading breakouts based on a volatile event such as the FOMC meeting, the markets can move in either direction, which could be in the direction of the trend or counter-trend as well. 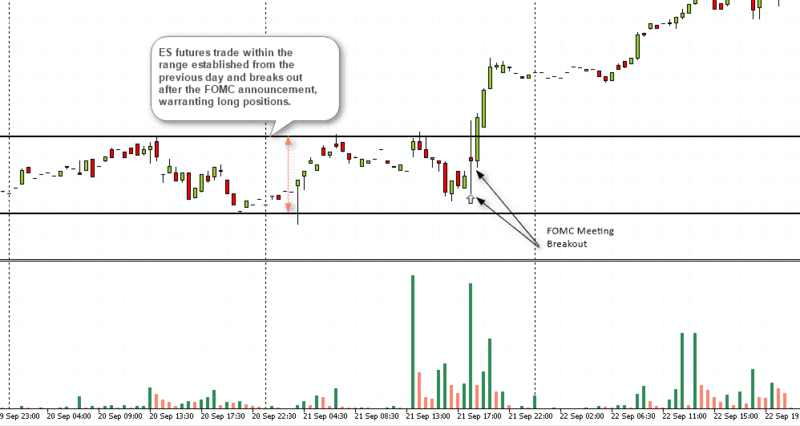 A second and a safer option to trade the FOMC meeting is to take a longer term analysis of the markets. In many cases, the short term volatility based on the Fed announcement results in counter trend movement in prices. This could be a great way to sell the rallies in a downtrend or to buy the dips in an uptrend. When the Fed announcement is hawkish, gold futures tend to fall and when the Fed is dovish, gold futures rise. These movements typically last during the day before the prevailing trend resumes. 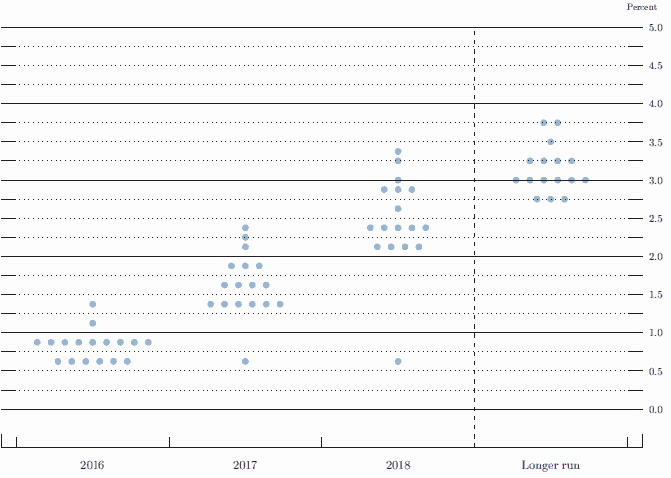 The above chart shows the days marked by the arrows where the FOMC meeting was held, with the * representing the FOMC meetings that are followed by press conferences and release of the SEP estimates. As you can see the reaction in gold prices are not as straight forward as expected. While trading the intraday breakouts is straightforward, the above chart shows how you could have shorted gold futures since September when price started to post lower highs. Furthermore, the September, November FOMC meetings resulted in lower highs being formed, giving an opportunity to short gold futures. Currently, we have gold futures breaking out higher after the December Fed announcement, meaning that there is scope for the uptrend to prevail or simply put, buy gold futures on a dip. The next chart below shows the daily chart for E-mini S&P500 futures. Trading the E-mini S&P500 is completely different ball games. Most traders expect to see the ES futures run opposite to the safe haven gold prices around the Fed announcement, which is not always the case. If you compare the Emini S&P500 futures chart to the gold futures chart, you will find the trend in both these opposite markets was in fact moving in the same direction until gold futures broke the pattern and started to decline since September last year. Trading E-mini S&P500 futures can be done in the same way, which is to trade breakouts or to trade with the trend. Due to the fact many retail day traders prefer to day trade emini futures, breakouts during the FOMC meetings are the most ideal way to trade. The next chart below shows a simple breakout strategy ahead of the Fed announcement. Notice how price was trading inside the range high and low that was established on the previous day. This range was tested a few times with price posting a high or the low, but there was no significant break. The breakout happened after the FOMC announcement, in September 2016. The first 1-hour candle closed with indecision but this was later followed by a strong breakout to the upside and the trend continued to push on higher. 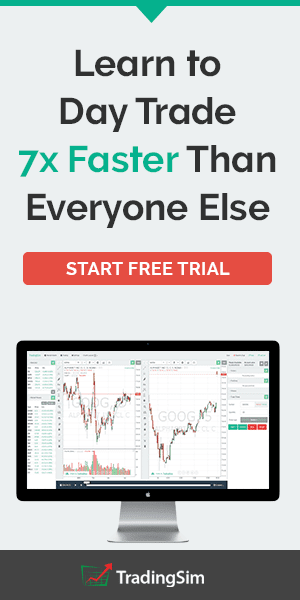 Whether your long position was just until the end of the day or if it was kept open over a few days, the long position would have resulted in a profit. There are quite a few trading strategies that go around, claiming to be the best for trading the Fed meetings. However, nothing is as simple as plotting simple horizontal lines to mark the range and trade the breakout out. When trading around the Fed meeting, traders should pay attention to the broader context and understand at what cycle or stage in the monetary policy we currently are. For the most part, traders who pay attention to the markets a week ahead of the Fed meeting will get a broad idea of what the markets are expecting from the Fed meeting. This can give you enough time to prepare your trade levels accordingly. 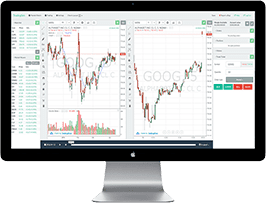 While there is potential to trade multiple commodities or instruments at the same time, having too many positions to monitor around a volatile economic event such as the central bank monetary policy decision will expose you to distraction resulting in mismanagement of your trades. 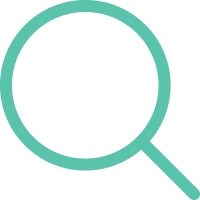 Therefore as a thumb rule, focus on one or two markets at best, take into account the current context and choose a market that can give you your desired profits. More importantly, take the profits off the table and do not let greed get the better of you.